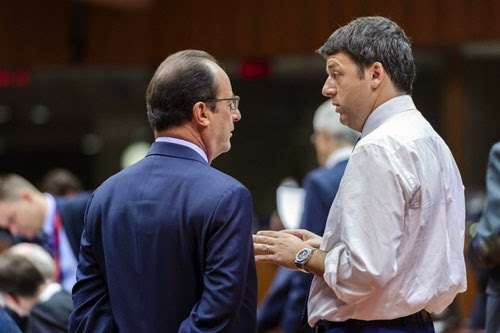 An outright rejection of the French and Italian budget plans was always unlikely, as it was in no-one’s interest to trigger an almighty row involving the second and third largest Eurozone economies. However, doing nothing was also never really an option for the Commission. Had it let France and Italy get away with draft budgets that were not only clearly deviating from their deficit reduction commitments but also not even acting to try and meet them, the credibility of EU fiscal rules – already wafer-thin – would have been shattered. Over the past few days, both France and Italy pledged to make additional cuts to those initially planned for next year. Therefore, at least in terms of political narrative, the Commission got the upper hand in this first round. 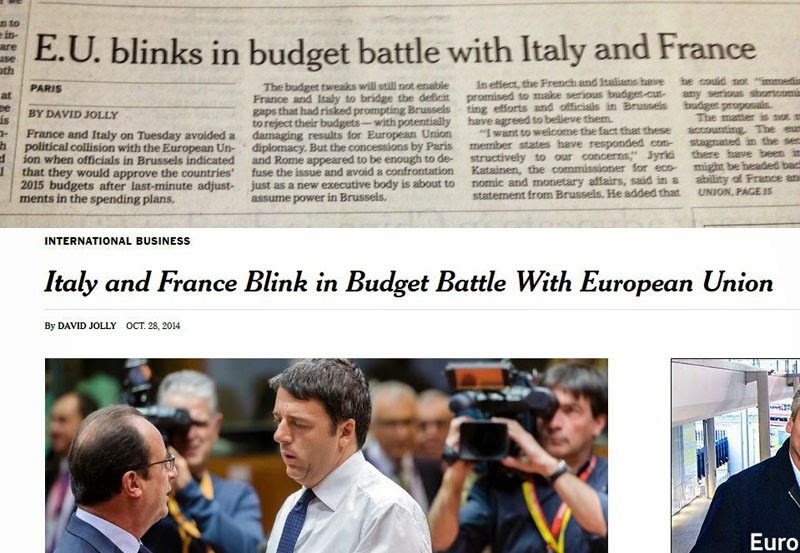 It stood up for budget consolidation, and it made its demand for extra efforts heard in Paris and Rome. On the other hand, for all their anti-austerity bluster, French President François Hollande and Italian Prime Minister Matteo Renzi are likely to come across as eventually bending to the will of Brussels. In his letter to Katainen, French Finance Minister Michel Sapin mentions the lower interest rates on French debt, the lower contribution to the EU budget recently announced by the Commission (we have written extensively on this issue, see here and here), and a strengthening of the fight against tax evasion. Similarly, his Italian counterpart Pier Carlo Padoan said he would use a €3.3 billion tesoretto (literally ‘little treasure’, but basically a reserve fund), originally set aside to lower the tax burden in 2015, to reduce deficit instead. However, there seems to be no guarantee that Italy will be able to find the same amount of money every year.